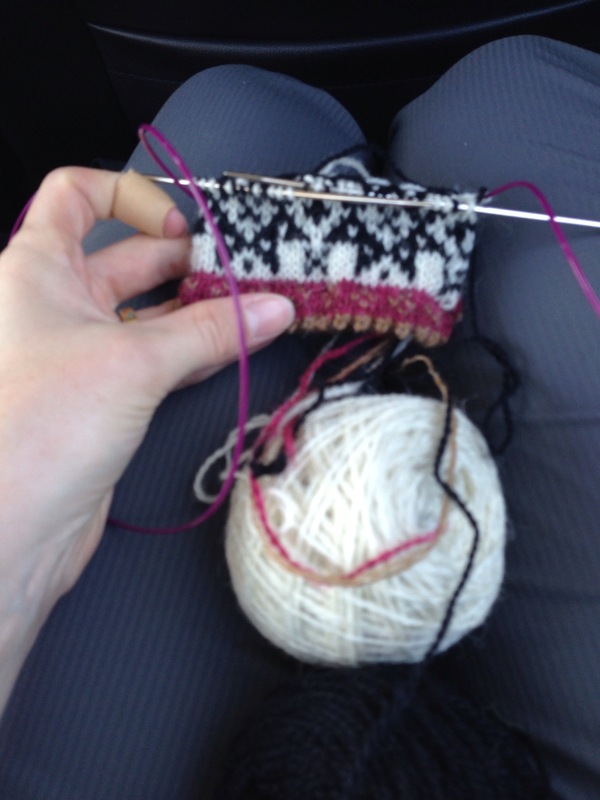 I started these Selbu-Baaa-Ter mittens to keep me entertained on the long drive to GenCon. Pattern by Mary Scott Huff. Very nice. I’ll be looking for the finished product. Gorgeous colorwork! I have been having the itch to do some mittens! Looks great so far! I’m envious of your trip to GenCon! Have a blast! Oooh. Love the colorwork. What is GenCon? Very pretty. I love the star patterns.